Distance: 12 miles, including Hildebrand Lake Loop. Cut-offs at 5.5 miles and 9.9 miles (Emerson Lake). Difficulty: Difficult – Note that this starts out relatively moderate. The most difficult sections are in the second half of the ride. 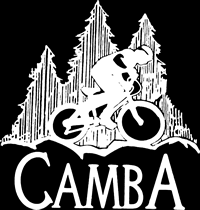 Description: A signature CAMBA trail, comprised entirely of moderately difficult to difficult singletrack requiring advanced bike handling skills and fitness. Unrelenting hilly terrain through deep forest with many wilderness lakes. Lots of climbing and contoured trail. Two cut offs for shorter ride. Hildebrand Lake Loop is the most technical of all the CAMBA trails. 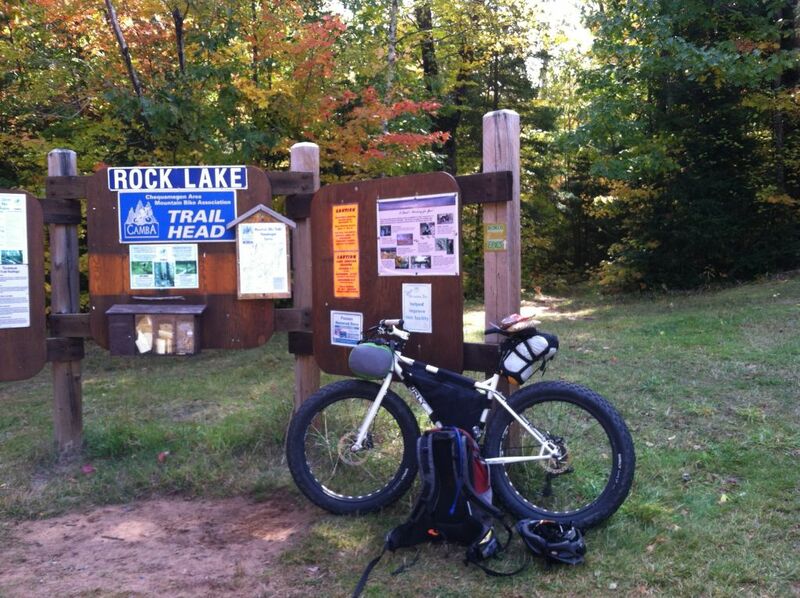 Begin the Rock Lake Trail behind the trailhead kiosk; please do not ride on the ski trail to the left. The trail is quite easy in the beginning with only an occasional rock requiring the rider to choose a ride line. A few rocky descents will be encountered on the way to N5, all of which will be easily defeated by a front suspension bike. From N29 to the trailhead the trail is considerably more technical and difficult. You may bypass this long segment by turning left at N29 on to FR 207 and riding north (about 3 miles) to County Hwy M.